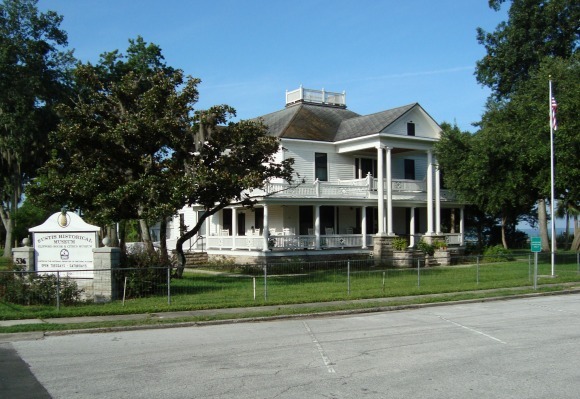 Eustis Florida is a town of about 20,000 people about 30 miles northwest of Orlando. Along with Tavares and Mount Dora, it is one apex of what is known as Florida's "Golden Triangle". Eustis is on the eastern shore of Lake Eustis, and was first known as Highlands and later as Pendryville. It became known as Lake Eustis after the lake which had been named in 1825 for Abraham Eustis, an American general in the Seminole Wars. 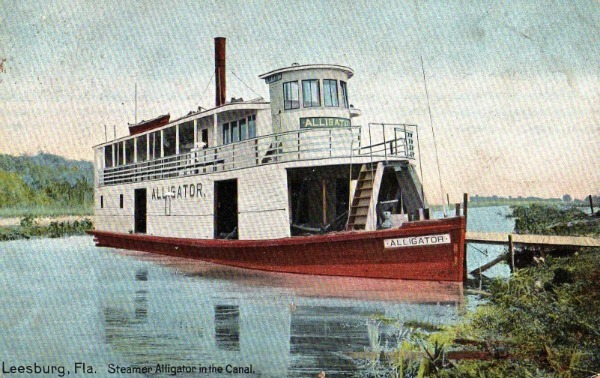 Before the railroad showed up in the 1880's, Eustis was a busy port for steamers traveling on Lakes Harris, Eustis, Dora and Griffin. This chain of lakes had access to the world through the Oklawaha River to the St Johns River and the Atlantic ocean. In 1883 the town dropped the "Lake" part of its name and became simply Eustis. Citrus became an important crop in the area, but the great freeze of 1894 and 1895 nearly destroyed the industry. Over the years, the fruit trees once again became prominent in the economy of the area. More freezes in 1983 and 1984 was the latest major setback to the citrus crops, destroying most of the trees in this part of Florida. Eustis has many well preserved older homes and buildings. Its downtown area has been redeveloped and has many interesting shops and restaurants. 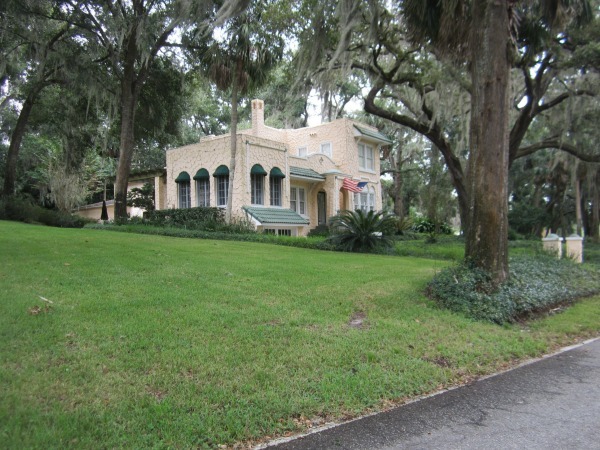 Guilford David Clifford was an early pioneer whose house at the corner of Bay Street and Bates Avenue is now home to the Eustis Historical Museum and Preservation Society. Frank Waterman was a fountain pen manufacturer from New York who built the Fountain Inn in Eustis in the 1920s. It served later as the local hospital until it was demolished in recent years. 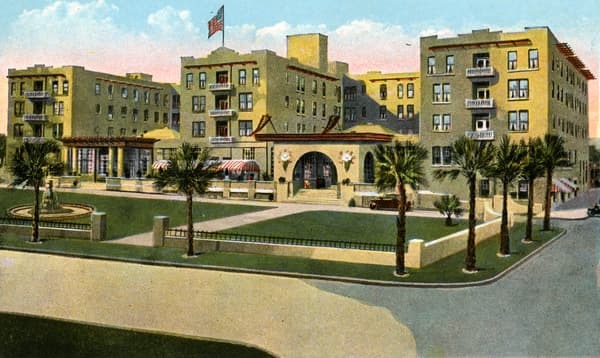 It is the direct ancestor of today's modern Florida Hospital Waterman. 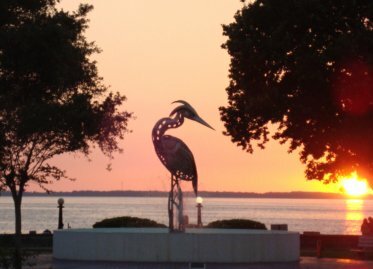 The downtown area along Lake Eustis has been developed into a wonderful park for fishing, picnics and concerts. Ferran Park is a great place to watch the Central Florida sunsets. The renovated downtown area is the focal point for many community activities. They named this area the Downtown Waterfront Entertainment District and among the events are a Cruise In of Classic Cars on the fourth Saturday of every month. Another standing event is on the first Friday of every month called Eustis Live that features street vendors and live music. It's a large community block party. The highlight of each year is GeorgeFest, one of the oldest festivals in the United States celebrating the birthday of George Washington. 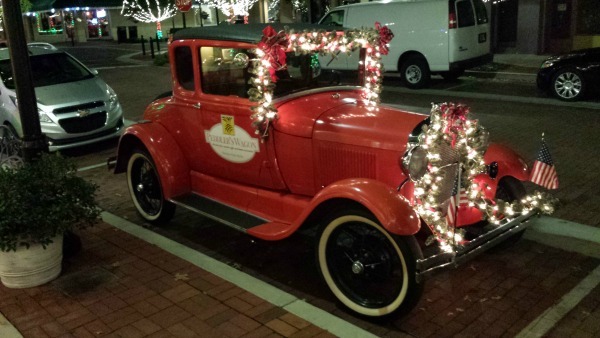 It is reportedly the longest running festival of any kind in the entire state of Florida. February, 2018 will mark the 116th consecutive celebration. Night Owl is in a small yellow building on the right hand side of State Road 19 (Bay Street) as you drive north through Eustis. The restaurant has small parking lots in front, back, and sides. Most of its business is take out and it has become very popular with locals who know where the good food is. 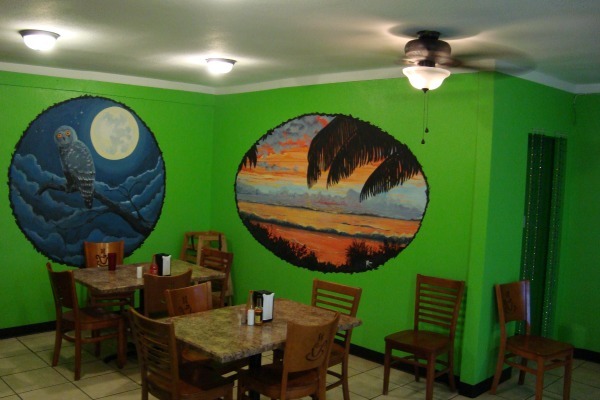 Night Owl specializes in Jamaican food and has a full menu of appetizers, entrees, desserts and beverages. Some of the entrees include curried chicken, brown stewed chicken, jerk chicken, jerk pork, oxtails, curried goat, and more. A giant smoker and grill accounts for the delicious flavor of these entrees. You could also make a full meal from the appetizer menu if you decided to: mac and cheese, collard greens, sweet cornbread, green beans, steamed vegetables, plantains, chicken and beef patties, coco bread and manish water soup. The dining room is very small at Night Owl: only four tables. I choose to eat in rather than take out, and have never had trouble finding a table during lunch hour. There is usually a steady flow of take out customers dropping in. Many of them are regulars who call in their orders so they don't have to wait. The Wright family came to Eustis many years ago from Jamaica. 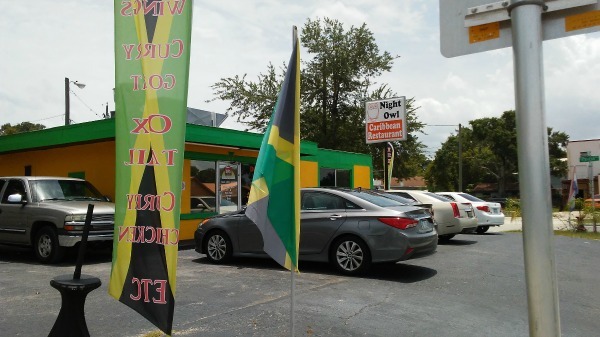 Richard Wright is the owner of Night Owl, and was well known in the area to Jamaican food lovers when he operated his own food truck. People who enjoyed what he served from the food truck kept asking him to open a permanent place, and he finally did. Lovers of Caribbean food are glad he decided to do it. Night Owl is open every day except Monday. Its hours are 11:00 AM to 8:00 PM Tuesday through Thursday, and from 11:00 AM to 10:00 PM Friday and Saturday. They are open on Sunday from 11:00 AM to 7:00 PM. 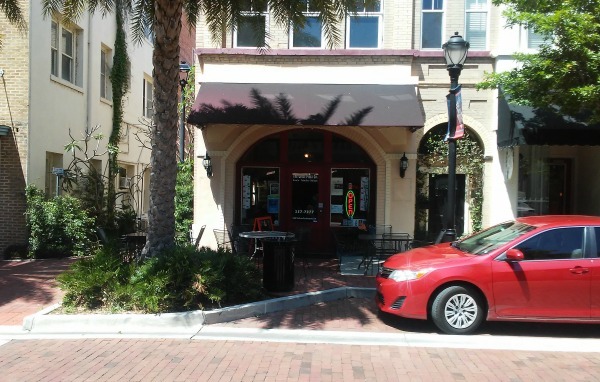 This cozy little restaurant is at the corner of Orange Avenue and Eustis Street in downtown Eustis. It specializes in authentic Turkish cuisine. I am very glad to see a Mediterranean restaurant in Lake County. Elijah's Cafe in Eustis was the only one I knew about, but he closed it two or three years ago. My first experience with Mediterranean food was when I was in the U.S. Navy and we visited Antalya, Turkey. I've been hooked on that food since then and am getting tired of having to drive to Orlando to get it. The restaurant is owned by Nalan Ertane, who is also the chef. She is assisted by her large family. When I was there the server was her daughter, Gulcan Tiffany Ertane. These are friendly people, and that makes the dining experience even better. 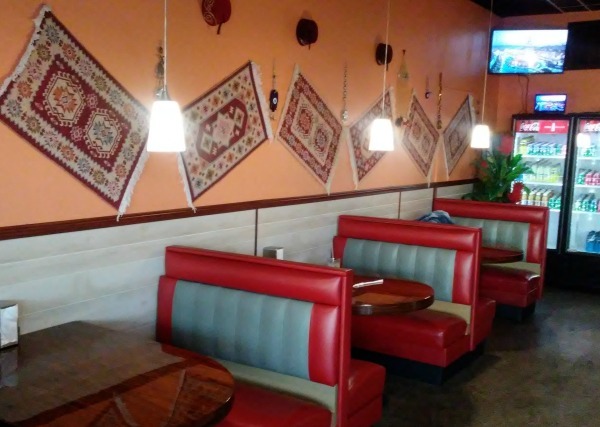 Nalan owned and recently sold a popular Mediterranean restaurant in Apopka. Before that she was a chef at various Orlando area restaurants including Bosphorous. The menu includes most of my Mediterranean favorites, and even more. Featured cold appetizers are hummus, babagonoush, tabouli, grape leaves, and cacik. Hot appetizers include cheese rolls, falafel, zucchini pancakes, and chicken nuggets or tenders. You can make a meal just from the salad menu. Among their salads are the Sultan Salad which contains fresh tomatoes, fresh cucumber, parsley, walnuts, feta cheese, and pomegranate juice. Their Sheppard Salad is delicious with tomatoes, cucumbers, onions, and parsley. If you want a sandwich, try either a chicken or lamb gyro with french fries, or a falafel special. Falafel includes chickpeas, celery, green onions, sesame, and flour. The platters make a large meal. They come in two sizes: small and large. Take it from me: large is very large. Some of their popular platters are chicken or beef gyro, lamb kofte, lamb adana, beef shish, falafel, grilled salmon, and chicken or beef shish. All platters come with rice and vegetables. If you are a fan of New York style thin crust pizza, you will probably love the Turkish pizza served here. 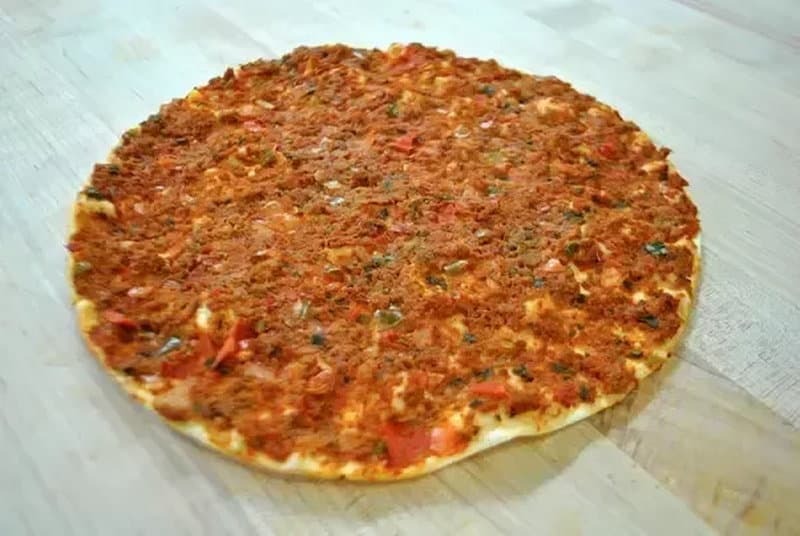 Its Turkish name is Lahmajoun, and is a round very thin flatbread topped with minced meat and minced peas. The meat and peas are blended with herbs, onions, tomatoes, and parsley. There is no cheese, and it can be eaten pizza style or rolled up like a burrito. Dessert is also a special treat here. You can choose from baklava, rice pudding, revani, and kunefe. Drinks include water or its upscale cousin Pellegrino. Turkish tea and coffee are also available, as well as a homemade yogurt drink called ayran. Nalan will be adding a bar to the restaurant in the near future. Nalan Sultan is open Monday through Saturday from 11:00 am to 8:00 pm. 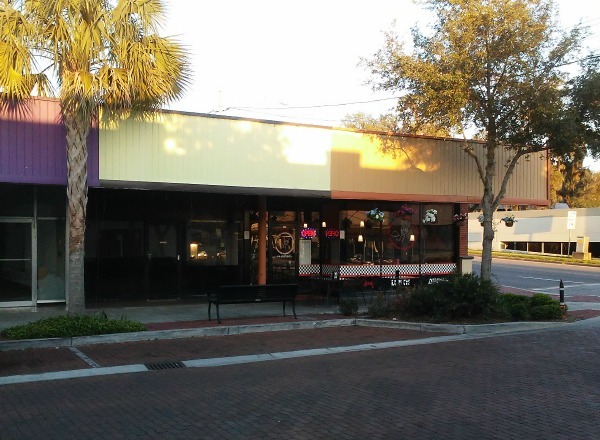 The Great Pizza Company is located on Magnolia Avenue in historic downtown Eustis, Florida. It is on the same block as two other popular restaurants: 1884 and Tillie's. The Bay Theater and Ferran Park are a block away, and the popular gift shop, Peddler's Wagon, is next door. 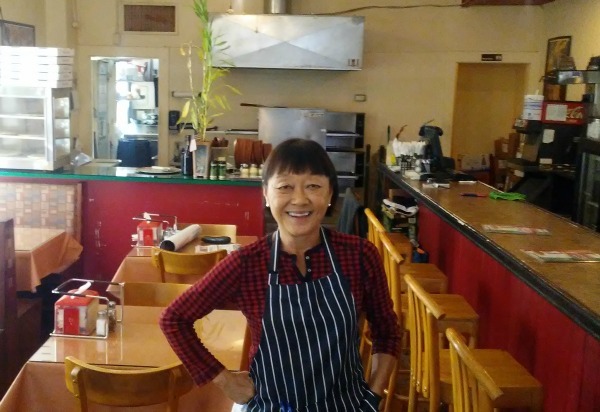 Sandy Johnson and her late partner, Ron Butler, opened the restaurant in 2008. They had previously owned and operated China Lane in Eustis for 34 years, and wanted to try something different. They researched the area pizza places and could not find what they really liked: thin crust New York style pizza. So the created their restaurant around that particular delicacy. New York style pizza is typically made with a large hand tossed thin crust. The crust is thick and crisp only around the edge. Traditional toppings are like any other pizza, placed over light Mozarella cheese and tomato sauce. 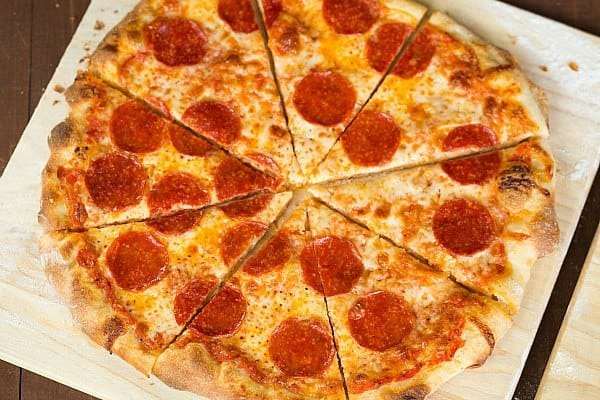 Sandy believes one of the big secrets of her thin crust pizza is the dough made with New York City water that she has routinely shipped to her restaurant. Pizza is in the name of the restaurant, but there are many other items offered as well. Appetizers include hot chicken wings, cheese sticks, fried green beans, onion rings, pork egg rolls, fried green tomatoes, garlic bread sticks, and French fries. They have several salads starting with their house tossed salad, Caesar Salad, Chef Salad, and Greek Salad. New York style subs are also featured including ham and cheese, salami and cheese, turkey and cheese, cheese steak, Italian combo, meatball, steak, and even a pizza sub. There is also a wide variety of Paninis and spaghetti. Desserts feature fried cheesecake, lemon Mascarpone torte, and a double dar chocolate brownie a la mode. Beer and wine is available and in addition to booths for couples and families, there is a small bar with seating also. You can also sit outside in front of the restaurant at one of several tables. The Great Pizza Company is open seven days a week from 11:00 am to 9:00 pm except Sunday when they are open from 1:00 pm to 8:00 pm.